Welcome to Brock Built’s exciting and wonderful West Midtown community, West Town. This eclectic, bustling neighborhood of new homes is located in one of the most vibrant and diverse locations Atlanta has to offer. 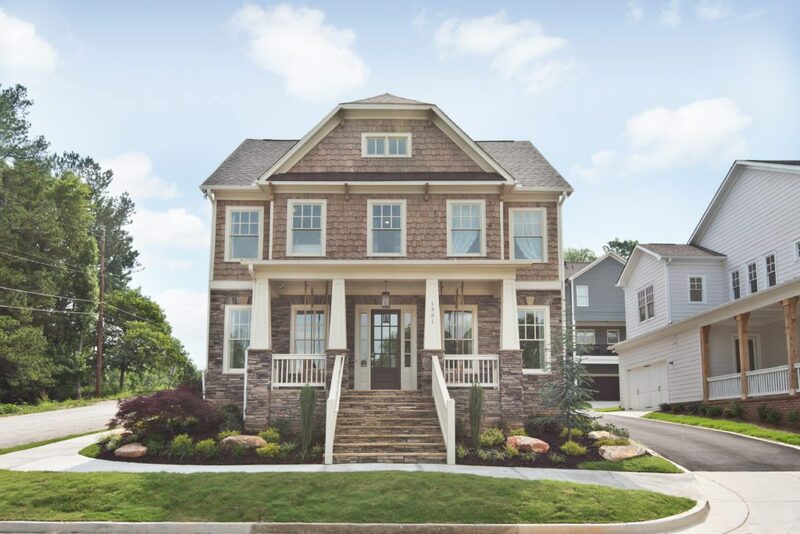 With move-in ready homes available now, you’re sure to find your dream home near Atlantic Station. At West Town, you’ll have direct access to West Midtown’s best boutique retailers, award-winning restaurants, and an abundance of outdoor recreation. 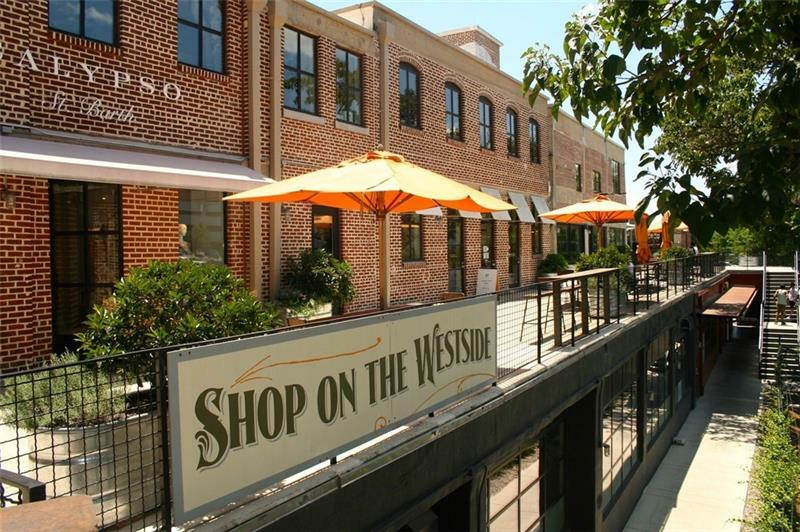 The community of West Town is located near the thriving Westside Provisions District. Having convenient access from your new home to this unique shopping and dining experience is fantastic. Especially, if the words upscale, artisanal, fashion, and fun sound attractive to you. Wait until you see everything this prime intown destination has to offer, we know you’re gonna love it. 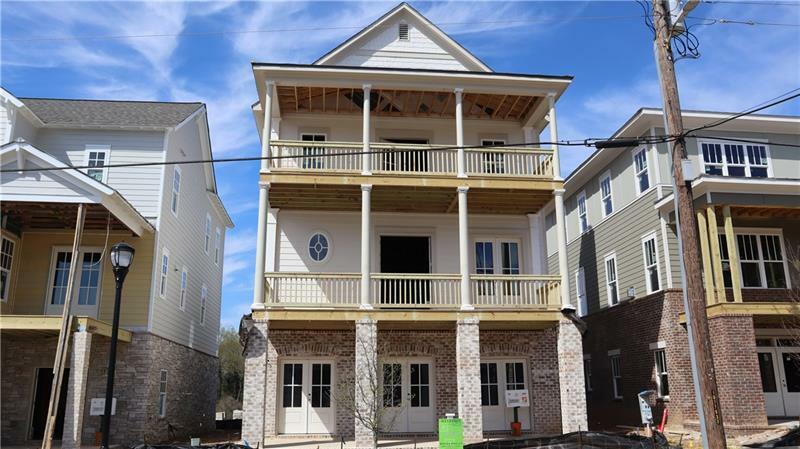 Also, just a few minutes away from these new West Midtown homes is the Atlanta Beltline! This iconic city-wide amenity is full of art, breweries, restaurants, bike paths and walking trails. And, as it continues to expand, it will conveniently deliver a scenic pathway to explore Atlanta from your new home. For more West Midtown shopping nearby, there’s the ever-popular Atlantic Station. You’ll be fully entertained with 30+ shops, 17 restaurants, and the largest Regal Cinemas theater in the southeast. And, for an afternoon of peace, you’re just a short drive away from the Atlanta Botanical Garden and Piedmont Park. Your West Town dream home features floor plans that range from 2,000-4,000 square feet and offer 3-5 bedroom options. Our exceptional cottage series feature 3rd-floor retreat spaces that can be used as an extra bedroom or home office. This gorgeous and spacious Adriana I-A floorplan features 3 bedrooms and 3.5 baths. This home includes a bottom floor level which has a bonus room that you can convert into a game room, man cave, guest bedroom or any flexible space you envision. With various floor plans and the high-quality you expect from Brock Built, you will love where you live. Plus, our luxurious, modern interiors, fixtures, and finishes make these homes very appealing to our buyers. So, if you’re ready to be in the midst of all that West Midtown has to offer, contact us at West Town today! Schedule your tour and see what intown living in West Town is all about.